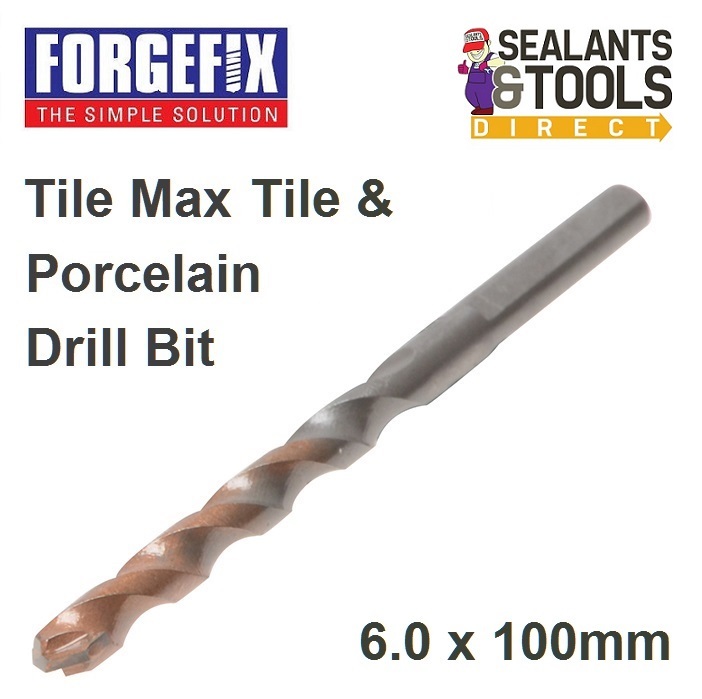 Forgefix 6mm FAITM6100 Forgemaster tile max drill bits have a newly designed precision tip thats Diamond ground from the best quality tungsten. Heat treated to increase the life span of the drill bit. After frequent use on the hardest materials, the tile drill can then be used on softer substrates. Asymmetric drill bit design reduces resistance by 25%, ensuring that there is no wandering when starting to drill. Low stress, high temperature brazing method used to attach the tip to the shank ensures that it remains attached under the most extreme drilling conditions. Ingenious triangular shaped shank guarantees no slip rotation in the drill chuck and the deep and wide fluting is able to cope with the maximum amount of spoil removal. No requirement for water cooling as the drill is used on a very slow speed for maximum efficiency. Supplied in handy storage tube for protection and loss prevention.